“Recognition and Revelation”: The Essays of Margaret Laurence, edited by Nora Foster Stovel, including fifty essays by Laurence, is currently being prepared for possible publication in a print version by the University of Alberta Press. This is one the remaining gap in Laurence’s oeuvre, as—apart from her nineteen travel essays collected in Heart of a Stranger, originally published in 1975 and republished by the University of Alberta Press, edited by Nora Foster Stovel, in 2003—Laurence’s essays have never been collected, and some have never been published. 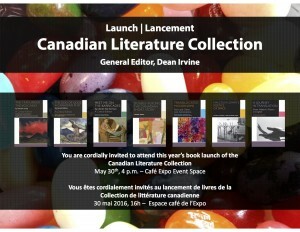 It is hoped that the print edition will be followed by an electronic edition that will include the fifty essays, plus fifty book reviews by Laurence and several speeches, convocation addresses, and tributes to Canadian literary figures such as Malcolm Ross, Clara Thomas, Marian Engel, Lois Wilson, Hubert Evans, and W.L. Morton—most of which speeches have never before been published. 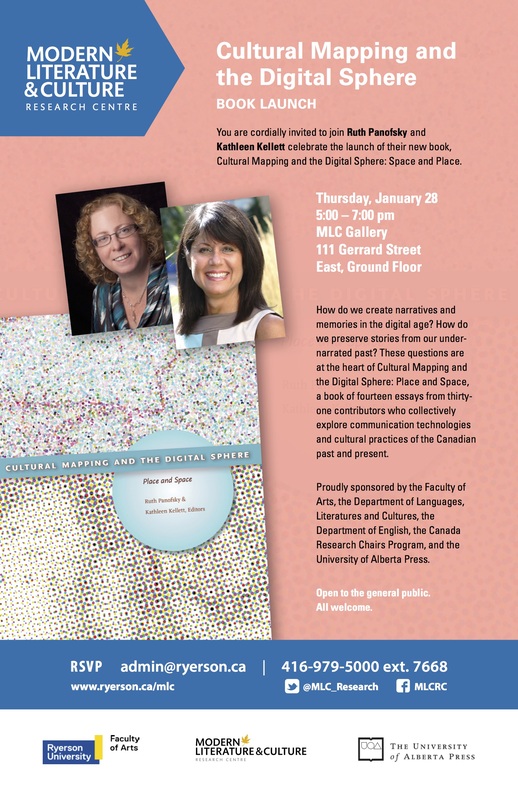 Nora Stovel and Susan Brown, project leader of the Canadian Writing Research Collaboratory, hope that CWRC may be involved in the electronic edition. Many thanks to Alan Stanley and Rosie LeFaive at Agile Humanities Agency for their work on this initiative. And thanks to Pericles Lewis and Trip Kirkpatrick at Yale for their support and assistance. We are seeking papers for ‘Editing Modernism/Modernist Editing’, a one-day conference to be held at Edinburgh Napier University (Merchiston Campus) on Friday the 13th of May 2016. The conference invites scholars to share their research about and methodologies for textual editing of modernist literature. ‘Textual editing’ broadly refers to developments in the traditional research and practices involved in discovering, contextualizing, and preparing literary works for publication, for both scholarly and other readers. However, it also concerns problems and methods inherent to the production and dissemination of modernist digital editions and digital archives. We welcome proposals in any area of modernist scholarship that engages with ‘editing’, the archive, and editorial practice. This conference will speak to the recent resurgence in interest in the modernist text as editorial object and the various platforms through which readers encounter modernist text. In modernist studies, several large-scale editorial projects are currently underway, including the Dorothy Richardson and the Wyndham Lewis Editions projects, and last year saw theComplete Prose of T.S. Eliot: Vol. II win the Modernist Studies Association book prize. These are paralleled in recent digital archives and editions such as the Modernist Versions Project and Infinite Ulysses. The question of how contemporary editorial practice can draw on modernist practice is of keen interest, as textual editing was often a key self-reflexive concern for modernist authors, many of whom were publishers and editors themselves. From the collaborative editorial practices that underpinned such works as T.S Eliot’s The Waste Land and Djuna Barnes’s Nightwood to the production of modernist little magazines, innovative modernist editorial practices continue to interest scholars as they take on the role of contemporary editors to texts such as these. Professor Scott McCracken (Keele University) will present a talk about the scholarly edition as cultural production. Prof McCracken is the Principal Investigator for the Richardson Editions Project, which is funded by the AHRC and which is leading to the publication of scholarly editions of Richardson’s 13-volume Pilgrimage with Oxford University Press. Dr Nathan Waddell (University of Nottingham) will present a talk titled ‘Problems, Possibilities, Polemics: Taking the Arrows of Wyndham Lewis’. Dr Waddell is on the Editorial Board of the Oxford University Press Complete Edition of Wyndham Lewis’s fiction and non-fiction. For panel paper consideration, please submit a 200-word abstract and brief biography to Tara Thomson att.thomson2@napier.ac.uk by the 1st of April. The day’s programme will be followed by a wine reception. Registration will be limited, so we ask that all participants register in advance at http://editingmodernism.eventbrite.co.uk. Please send any inquiries to Tara Thomson at t.thomson2@napier.ac.uk. With the sole exception of the audio recordings, the recently relaunched bpNichol.ca Digital Archive is a collection of photographic images that stand in stark contrast to the print-medium objects they represent. We have, then, a medium translation into the symbolic regime of the archive, where data (in fact, the texts that Nichol produced and published) are isolated into discrete series in order to open them to different configurations. Despite the gregarious warmth of bpNichol, Canada’s preeminent avant-gardist—indeed, our own “Captain Poetry”—the archive flattens the lush sensuality, the intricate materiality of his works into two-dimensional images, digital files that are represented entirely by light patterns on a smooth screen. 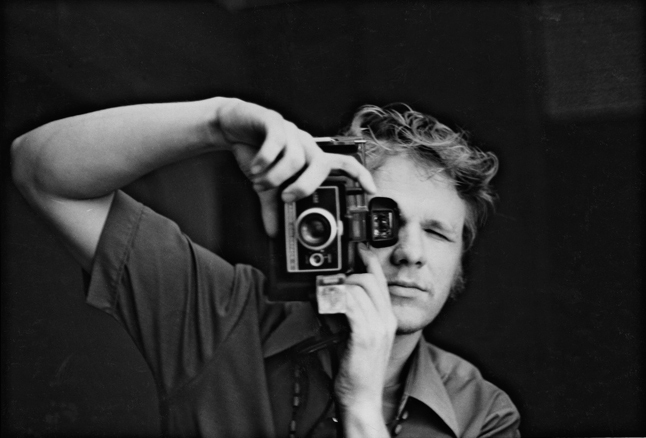 Media archaeologist Wolfgang Ernst highlights such a “cold archaeological gaze” as “the melancholic acknowledgement of the allegorical gap that separates the past irreversibly from the present, a sense of discontinuity, as opposed to the privileging of continuity in historical narrative” (44-5). The digital archive encodes this separation without demanding a binding historical narrative. These are the things, separated from their aura as Benjamin would note, reconstructed in order to maximize access and circulation. Nichol’s oeuvre, with its enormous scale and variety, represents an archive of limit-cases of Canadian small press publishing techniques and technologies. The two-dimensional digital files, however, efface some of the most striking characteristics of these often handmade objects, produced as they were in micro, sometimes single-digit, print runs, and often made for or given personally to a specific person. Nichol was a communitarian, and used his literature and publishing ventures to create and foster avant-garde communities. They are consummate exemplars of ephemera. As such, they performed a kind of exclusive communitarian function that contradicts open source digitalization: these were not intended to be objects of simultaneous collective reception. They are now, though, in this remade archived form. The re-launch of the bpNichol digital archive thus serves as the institutionalization of a new phase of engagement with Nichol’s work that shifts beyond the direct impression of the biological author. This shift was evident at the 2014 bpNichol symposium I organized at Brock University in St. Catharines called “At the corner of mundane and sacred” which featured 16 paper presentations, 20 poets reading work inspired by bp, and hundreds of people on twitter doing an online flash mob of their favourite lines and puns from his work. It had the air of a celebration and it felt vital. We were lucky to have some of bp’s closest friends, colleagues, and collaborators presenting, including Steve McCaffery, Stan Bevington, and Stephen Scobie, but what was most striking about the event was the presence of new generations and their investment in thinking upon his works and discovering new ways to manifest his spirit of investigation, sincerity, and generosity. These are the sons and daughters, grandsons and granddaughters of Captain Poetry. Without ever having met the man, they have already begun building their own bps. One such builder is filmmaker Justin Stephenson, who was at the conference to show us a glimpse of his new bpNichol film called The Collected Works in advance of its Toronto premiere. Functioning as both a dynamic archive and creative work in its own right, Stephenson’s work translates Nichol’s poetry (not his biography) into a dance of light and sound. Ernst notes that the photograph offers a distinct kind of representation of the past as it inscribes chemically and/or digitally the physical trace of the past. As such, the photograph “liberate[s] the past from historical discourse (which is always anthropomorphic) in order to make source data accessible to different configurations” (48). Stephenson’s film ruptures “the illusion of pure content” by his creative interventions in the re-staging and selection of Nichol’s work. Similarly, the bpNichol.ca digital archive encodes self-reflexivity by documenting the time, date, and (where available) technology of digitization as part of the meta-data record for each object in the archive. There are, of course, three time signatures at play in each photograph: the content, Nichol’s work, the interface, our photographic rendering of them, and the intraface, the archive frame itself. The narrative of Nichol’s first poem, the beginning of the complete works, anticipates these problems and possibilities. A student at the time in Vancouver, he wrote the poem while visiting his brother in Toronto in the summer of 1963. He was working on a normative translation of Guillaume Apollinaire’s modernist masterpiece “Zone” when all of a sudden the sun struck his page as the cars whizzed by and the sight of bodies browning in a park below his window transported him for an instant into what he felt was an experience of perfect synchronicity with the poem. Apollinaire’s 1913 poem presents a fragmented collage of a flâneur walking the streets of Paris, moving out across Europe, and recording the modernist shift of that moment. Powerful new technologies—the airplane, the automobile, electricity—were supplanting mythology and nature, but a new kind of communion, a new kind of culture, indeed a new kind of individual was emerging in the shift. Nichol abandoned his straight translation of “Zone” and wrote a short lyric about the experience of being transported by Apollinaire in Toronto sunshine: a poem of the play of light and its historical trace! His poem was called “Translating Apollinaire” and it was published in 1964 in Vancouver in bill bissett’s new magazine Blew Ointment. The somewhat diminutive work launched a career of investigation into the question of what happens when writing, poetry, language move into new, hitherto unimagined spaces; what happens when new interfaces are used to transpose historical residue. Nichol revisited this poem almost a hundred times in the years that followed, creating a series of translations that he published as Translating Translating Apollinaire. The series broke apart and rewrote this poem with the ambition of uncovering every conceivable means that a translation he could be produced. It is wild, radical research and it demonstrates Nichol’s commitment to writing not as the creation of discrete beautiful objects, but as a process of engaging with the world, of investigation, of learning, ultimately of opening oneself up to the Other; as a dynamic processing of the past. Building from this template, the archive is best thought of as just another conceivable means of translating bpNichol’s complete works. It is, at present, a growing repository of Nichol’s work all available for free because of the enormous generosity of Ellie Nichol. There are over 100 items currently digitized in the space, thousands of pages of work, with hundreds more books and chapbooks to come. The website was designed and built by Bill Kennedy, with the enormous support of Alana Wilcox, Editorial Director of Coach House Books, and assisted by EMiC-sponsored Research Assistant Julia Polyck-O’Neill. I am the curator of the space and would like to invite you all to get involved in expanding the archive (if you are interested, click on “contact” and send me a note) because even though the digital file violates the spirit of the original (I am reminded of Jean Mitry’s quip that “To betray the letter is to betray the spirit, because the spirit is found only in the letter” (4)), the desire for opening avant-garde community spaces and engagement through this work remains. Ernst, Wolfgang. Digital Memory and the Archive. Minneapolis: U Minnesota P, 2012. Nichol, bp. “Translating Apollinaire.” Blew Ointment. 2.4 (1965). Np. —. Translating Translating Apollinaire. Milwaukee: Membrane Press, 1979. 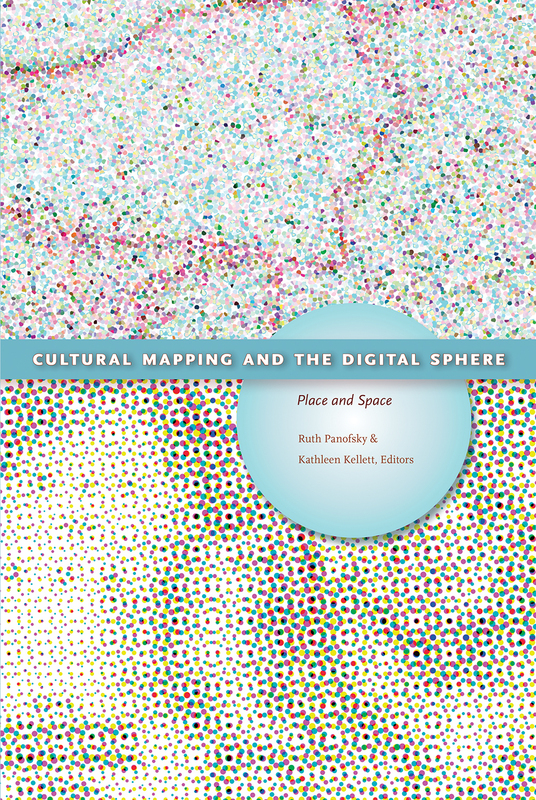 Proud and excited to announce the publication of “Modelling Collaboration in Digital Humanities Scholarship: Foundational Concepts of an EMiC UA Project Charter” by Paul Hjartarson, Harvey Quamen,​ Andrea Hasenbank, Vanessa Lent and EMiC UA in the new University of Alberta Press collection, Cultural Mapping and the Digital Sphere: Place and Space, edited by Kathleen Kellett and Ruth Panofsky. The CSDH/SCHN Outstanding Early Career Award recognizes exemplary scholarly work by a Canadian or permanent resident researcher or a researcher at a Canadian institution during the early stage of her or his career. Early career, in this context, usually extends from the later stages of doctoral work to up to 10 years since award of a PhD. The recipient need not be affiliated with an institution. The recipient will be invited to accept the award and to address the society in a plenary session of the annual conference at Congress, which will be held this coming year at the University of Calgary in the spring of 2016. An invitation to serve on the editorial board of Digital Studies/Le champ numérique will also be offered to the recipient. This award is typically given to an early-career scholar whose work relates to any area of the digital humanities, broadly conceived, whether theoretical, critical, applied, or in the area of community building. Evidence of scholarship may take the form of print or online publications, a design portfolio, fabrications, prototypes or tools, or a production system. Work produced by a member of a larger collaborative team may be considered for this award; in such a case, the nomination should include a letter from the leader of the team (which may be the nominee her or himself) explaining the nature of the nominee’s contribution to the team activities. The award will be given for work that, in the opinion of the CSDH/SCHN Awards Committee, constitutes a significant contribution to the field. Nominations of up to 500 words must be submitted by November 30, 2015. Only current members of CSDH/SCHN are eligible to submit nominations. Nominations must be sent by email to the chair of the CSDH/SCHN Awards Committee (dean.irvine@dal.ca). The Awards committee will compile a short list, and confirm with nominees whether they are willing to be considered, in December 2015. We will then request the submission of supporting material (CV, letters of support, and access to contributions or projects if not readily accessible) by January 15, 2016. Adjudication of the award will be conducted by the CSDH/SCHN Awards Committee (Dean Irvine, Dominic Forest, Susan Brown, Juan Luis Suarez, Kevin Kee, and Janelle Jenstad), who may consult the CSDH/SCHN Executive or external members of the community for assistance in evaluating applications. Selection will be made by the end of January 2016. An announcement will be made in spring 2016, along with the release of the CSDH/SCHN conference program for Congress 2016. Le prix CSDH/SCHN – Début de carrière exceptionnelle vise à reconnaitre la contribution exceptionnelle d’un(e) chercheur(se) canadien(ne) ou d’un(e) résident(e) permanent(e) ou un(e) chercheur(se) dans un établissement canadien pendant le début de sa carrière. Pour être admissibles, les candidats doivent avoir obtenu leur doctorat depuis moins de 10 ans. Les candidats n’ont pas à être affiliés à une institution. Lors de la remise du prix, le récipiendaire sera invité à prononcer une conférence lors d’une session plénière du congrès annuel de la Société canadienne des humanités numérique qui aura lieu à Calgary au printemps 2016. Une invitation à siéger au comité de rédaction de la revue Digital Studies /Le champ numérique sera également transmise au récipiendaire. Ce prix est généralement accordé à un(e) chercheur(se) en début de carrière dont les travaux s’inscrivent dans le domaine des humanités numériques, ce qui inclut les travaux de nature théorique, critique, appliquée ou cherchant à contribuer au développement de la communauté de chercheurs(ses) dans le domaine des humanités numériques. Les réalisations des candidats peuvent prendre la forme de publications (papiers ou numériques), de portfolio, de conceptions de prototypes ou d’applications, de systèmes de production. Les travaux réalisés en collaboration au sein d’une équipe de recherche seront considérés pour ce prix. Dans ce cas, le dossier de candidature doit inclure une lettre du responsable de l’équipe (qui peut être le candidat lui-même) expliquant la nature de la contribution du candidat aux activités de l’équipe. Le prix sera décerné pour des travaux qui, de l’avis du Comité des prix SCHN/CSDH, constituent une contribution significative dans le domaine des humanités numériques. Les mises en candidatures, d’un maximum de 500 mots, doivent être soumises au plus tard le 30 novembre 2015. Seuls les membres actuels de la SCHN sont autorisés à soumettre des candidatures. Les candidatures doivent être envoyées par courriel au président du Comité des prix CSDH/SCHN (dean.irvine@dal.ca). Le Comité des prix dressera une liste restreinte de candidats, confirmera avec les candidats retenus s’ils acceptent leur nomination et, le cas échéant, leur demandera de transmettre tous les documents nécessaires à l’évaluation de leur dossier de candidature (curriculum vitae, lettres d’appui, accès aux réalisations, lorsque celles-ci ne sont pas facilement accessibles) au plus tard le 15 janvier 2016. Le choix du(de la) lauréat(e) sera effectué par le Comité des prix CSDH/SCHN (Dean Irvine, Susan Brown, Juan Luis Suarez, Kevin Kee, Janelle Jenstad et Dominic Forest), qui pourra consulter au besoin les membres du Comité exécutif de la SCHN ou les membres externes de la communauté. Le choix du(de la) lauréat(e) sera effectué au plus tard à la fin de janvier 2016. Une annonce sera diffusée au printemps 2016 et sera accompagnée de la sortie du programme de la conférence de la SCHN pour le Congrès 2016.